We only work with NABCEP certified installers with 3 years of operational history, 3 positive industry references, and 2 MW of installed capacity. For years residential solar has been expensive and complicated, and homeowners have been alone in deciding what kind of solar is right for them. We believe there's a better way: going solar together with your neighbors and a trusted partner who is focused on customer service. Whether a no-money-down option is right for you or a purchase option, Resonant Energy allows you to go solar with others in your community. By using this community-centered approach, we can lower installation costs 20-30% while ensuring that every project meets our highest standards for quality and service. Go solar, and start saving today! 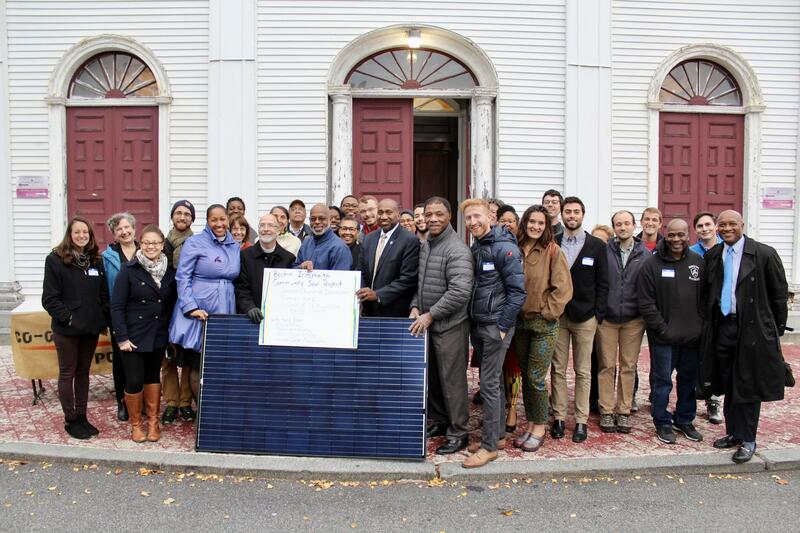 Resonant Energy is a community-based solar developer that collaborates with people to plan, finance, and build accessible clean energy projects. We believe in 100% clean energy for 100% of people. • Through our Group Purchasing Program, Solar Up, you can buy solar panels at $3.25/Watt, 24% off the average MA installation price. Our base price provides residents with American-made 300 Watt Solar World panels -- the most popular panel for buyers in Massachusetts. 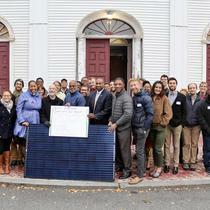 • For every household participating in Solar Up, we provide 5 free panels to low-income households. • We work with local solar installers to support the growth of local green jobs. • Customer service is our top priority, and it starts with arranging a free solar site visit for your house. • Resonant Energy represents you in hiring a contractor to build the highest quality installation.